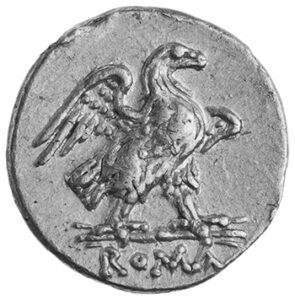 The representation of monuments and buildings on Roman coinage is one of the most popular topics in studies of coin iconography. In addition to numismatists, it attracts the attention of historians, art historians, archaeologists, and topographers. Although the subject of numerous books and articles, architectural representations have been appreciated primarily for the evidence they might yield for a monument’s appearance or existence. This approach is limited as the methodologies applied are often narrow or inconsistent and often betray modern biases. 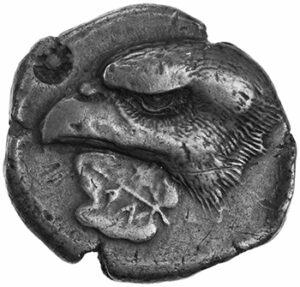 Instead of using images on coins as evidence for reconstruction, this book contextualizes monumental representations on the coinage within their broader historical, social, and political contexts, by addressing how and why images evolved through time and by investigating why architectural representation emerged on and disappeared from the coinage. In so doing, this book also treats all incidences of architectural representation on the Republican and Imperial coinages in order to provide the first comprehensive treatment of architecture on the state-sanctioned coinage. This book is, therefore, a resource to a broad range of specialists interested in the phenomenon of architectural representation and its significance in the Roman world. 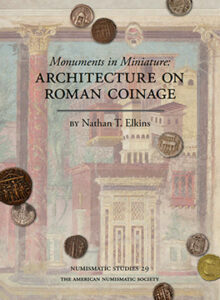 Nathan Elkins earned his BA in archaeology and Classical studies at the University of Evansville before earning his MA in the City of Rome at the University of Reading (UK) and PhD in Greek and Roman Art and Archaeology at the University of Missouri-Columbia. 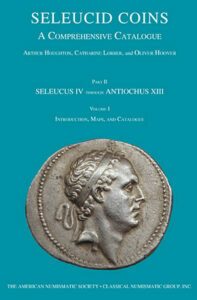 This book resulted from his 2004 attendance at the Eric P. Newman Graduate Seminar in Numismatics at the ANS. Elkins is currently an assistant professor of art history at Baylor University.